Real Digital Productions is comprised of a small team of specialists, yet we have overlapping skills and collaborate on projects daily. Even the smallest photo shoot will not go out the door until another team member has reviewed it and on larger projects you’ll find 2-3 of us crowded around the computer throughout the editing day giving insight and perspective on how to make it the best it can be. In the last 16 years Heath has been professionally shooting, he has defined his aim as helping small businesses navigate the challenges of growth and expansion. He considers himself and Real Digital Productions to be in the business of problem solving within the context of media marketing. Heath is heavily involved in the pre-production/creative process, working closely with clients to develop and fine-tune brand stories. 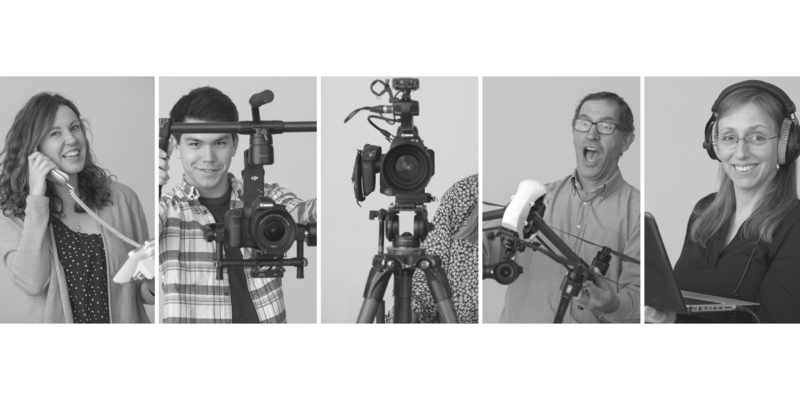 This process is often the hardest part of video production. Telling an authentic story that cuts through the noise and resonates with an audience can be incredibly challenging. Things aren’t going to change either, he explains, the industry is only going to get more competitive as marketers and small businesses fully realize the capability of video in their digital marketing strategies. It’s not uncommon to find Heath deep in a book, audio book, blog post, website or magazine trying to learn as much as possible about video production, video marketing, small businesses and problem solving. This dedication to learning the most current strategies and messaging techniques positions the whole team to succeed. He is often heard talking with team members about how we can use media to influence a client’s target audience. Or about cycling, he likes to talk about bikes too. A lot. Crafting a message, telling a story and watching the final project come together is what drives Melinda. The end of the editing process where all of the pieces finally fit together in one beautifully crafted production gives her satisfaction. 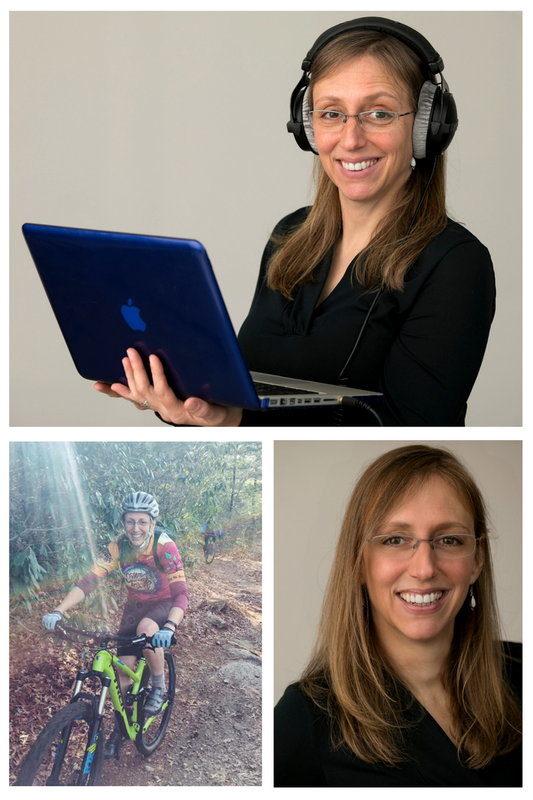 Apart from editing, Melinda wears many hats in the office. Between business and financial management, project management, scheduling and networking, she is constantly switching gears. It’s definitely the hardest part of her job but she is an integral part to the smooth operation of the office. Rarely does a project leave the office without Melinda first reviewing it. She is constantly giving feedback and asking for feedback from other RDP team members. Melinda rarely has time for side projects but is challenging herself by working on a documentary about a local dance troupe, Pisgah Thunder. This video is a community service that will benefit The Cindy Platt Boys and Girls Club of Transylvania County. She recognizes that video is an important part of marketing and communication in general. 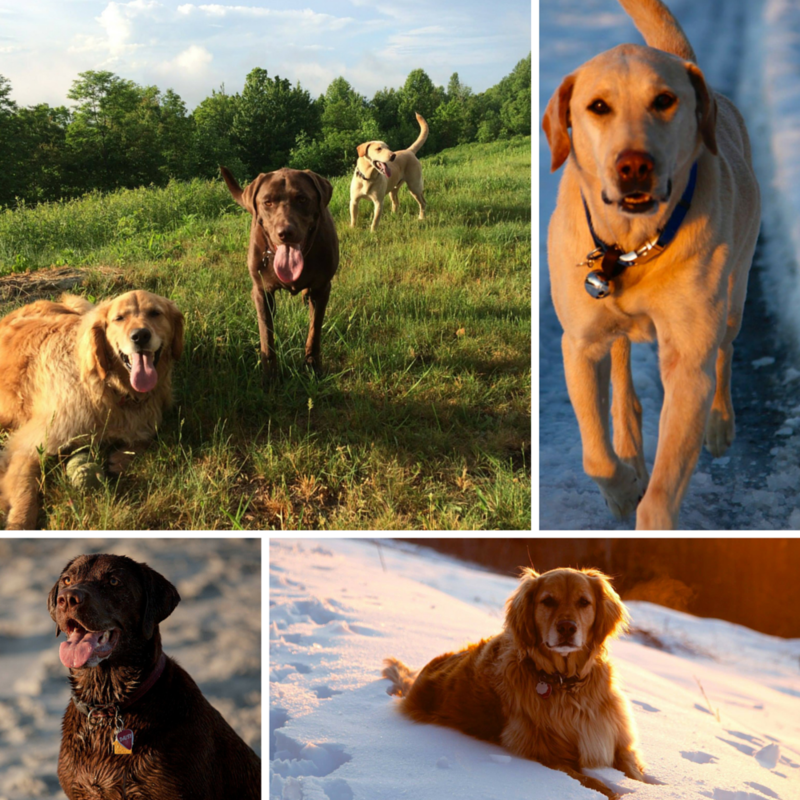 Melinda loves to take her dogs for mountain bike rides and finish her days with a glass of wine and a great sunset (a regular occurrence in WNC). The forests and wilderness areas around Brevard are unmatched and a necessary part of life, she says. 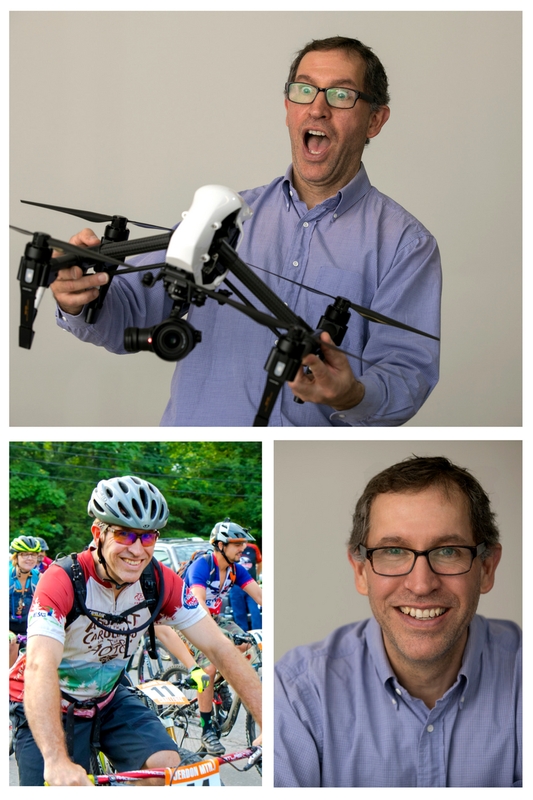 If you can’t find Dan in his “editing throne” at the RDP offices, he is likely out capturing a group of kids having the time of their life at summer camp or getting a close-up of the manufacturing process at a company like Sylvan Sport. Dan is constantly challenging himself to become a better, more well-rounded video assistant by staying on top of industry trends. He regularly follows FilmRiot and Video CoPilot, a YouTube blog and website that are constantly reviewing the newest equipment and filming trends. 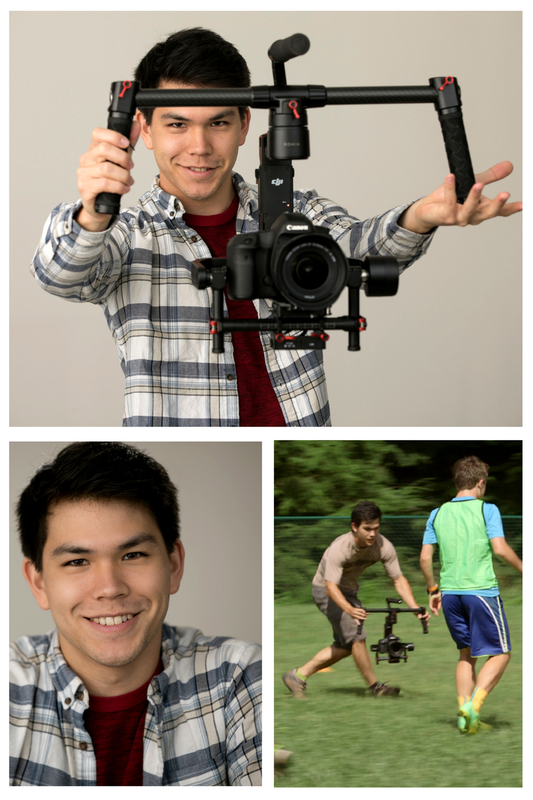 Dan’s duties at RDP are equally split between filming and editing. The hardest part of his day, he hesitantly admits, is making sure all the right equipment and batteries make it into the van before going to a shoot. One of the better parts of his day, besides being on set, is working with RDP teammates to troubleshoot issues and solve problems. Katlyn’s number one focus is making sure everyone working with Real Digital Productions has an awesome experience. From initial concept to final delevery, she’s ready to go the extra mile (or 2,189 – she thru hiked the whole Appalachian Trail!) to make sure the entire process runs smoothly. Her attention to detail, strong multi-tasking skills, and overall energetic personality make her a perfect fit for her role. 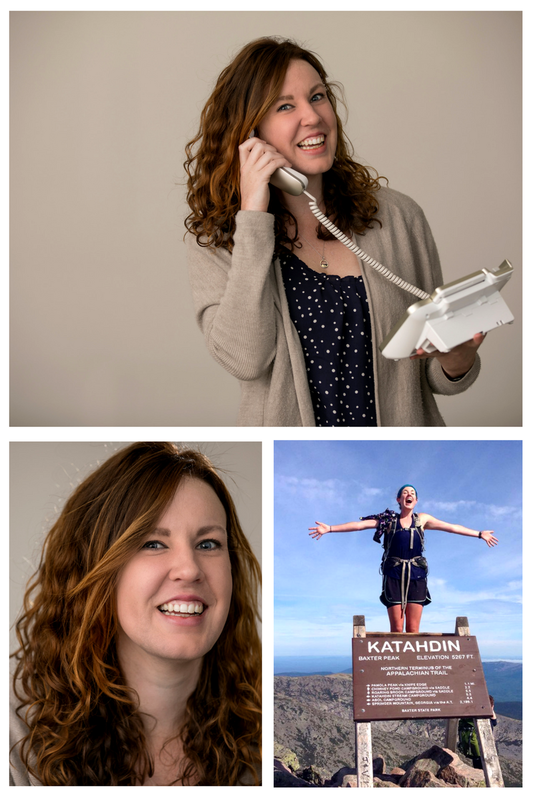 When she’s not helping clients achieve their video marketing goals you will probably spot Katlyn hiking around Pisgah, at a concert in Asheville, or sipping an iced latte at a local coffeeshop. They may be dogs but they are essential members of the RDP team. It wouldn’t be a day in the office without having their sweet, smiling faces to greet you. To be totally honest, their days revolve more around napping more than anything else. They play, nap, drink some water, nap, and wag their tails. As Melinda and Heath move around the office helping team members with their projects, Tucker, Daisy and Petey lift up their heads in acknowledgement but then fall back asleep. Actually, their contribution to production is sadly lacking. We should work on that. I’m sure it won’t be long before they’re right giving feedback to Dan on his latest video project. All it takes is a little patience and a ton of treats. Wanna hang? Let's talk about your next project.